Situated along one of the major vehicular gateway's into downtown Madison, Brittingham Park is one of the most visible downtown parks. 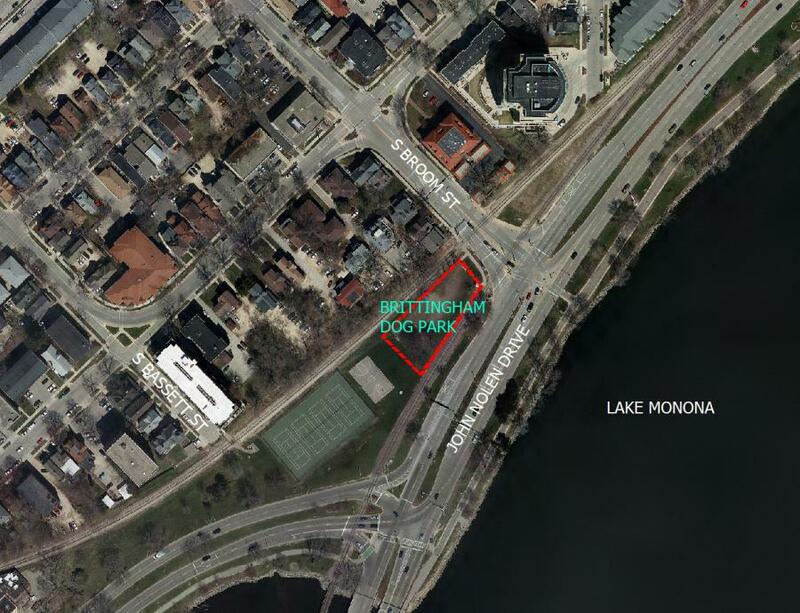 This project is to redesign the dog park, located at 326 S. Broom St., to make it more usable and inviting for dog park users, and also to develop a design reflective of the aesthetics of Madison's downtown. This project will look at different options for the dog park, including possible synthetic dog turf. The public is invited to attend two public input meetings on this project. The first meeting is scheduled and City staff will discuss the project and seek input from the neighborhood. Free parking is available in the ramp across the street and will be validated by Capitol Lakes.